Car enthusiasts won’t want to miss the Arizona Concours car show coming up Jan. 11, 2015. Not only is this event a great opportunity to see some of the best classic cars around, it is also a great way to help Make-A-Wish Arizona. Make-A-Wish started back in 1980 when a 7-year-old boy from Phoenix wished to be a police officer. That one wish started the whole Make-A-Wish story. Since it began, Make-A-Wish Arizona has granted nearly 5,000 wonderful wishes and granted 330 wishes in 2014 alone. You can help them continue that great success by attending the Arizona Concours this January. The Arizona Concours show kicks off the week-long classic car auction in the Scottsdale and Phoenix area. The car show is held on the lawns of the Arizona Biltmore Resort in Phoenix. From 9 a.m. to 9 p.m. on Sunday, you will be able to stroll through the aisles of cars as long as you want. You can also meet collectors, restoration experts and racing legends such as Sir Stirling Moss. All of the cars are pre-1973 classics from both museums and hobbyists. Some of the cars you’ll see are the classic American luxury brand Pierce-Arrow, pre-1965 Competition Ferraris, the cars of Carrozzeria Ghia, and cars once owned by Frank Lloyd Wright. The show will be emceed by Keith Martin, publisher of the magazines Sports Car Market and American Car Collector. John Carlson will be returning as chief judge for the show. There are currently only about 2,000 tickets left, so you won’t want to wait around to get yours! Individual tickets are $75 each and kids 15 and under get in for free. The event goes on rain or shine. Attending the Arizona Concours is a great way to help more wishes come true for kids all over Arizona. 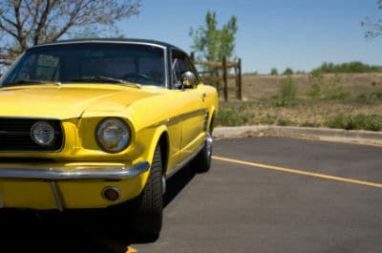 Seeing all of the great classic cars may inspire you to start a restoration project of your own or switch out your car for that classic you’ve always wanted as your daily driver. If you have an unwanted car, why not donate it to a great cause instead of holding onto it? Wheels For Wishes benefiting Make-A-Wish Arizona takes cars, trucks, boats, RVs and motorcycles and turns them into wishes for local kids. We offer free pick-up or towing and you get a great tax deduction. Even if your vehicle no longer runs, we can still accept it in most cases. To donate your car, simply give us a call at 1-877-431-9474 or take a moment to fill out our online car donation form. We make the donation process easy and hassle free. Your donation helps wishes come true, giving kids a chance to feel more hope, strength and joy when they need it most.